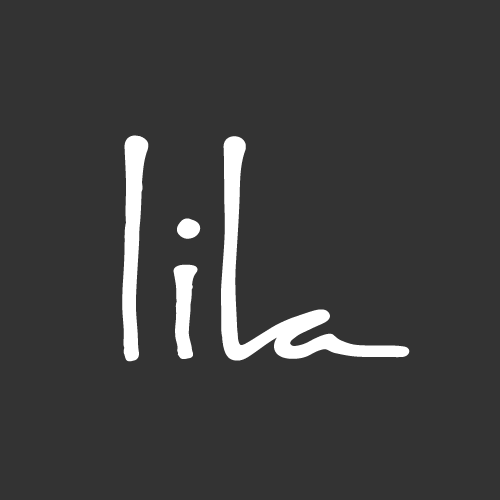 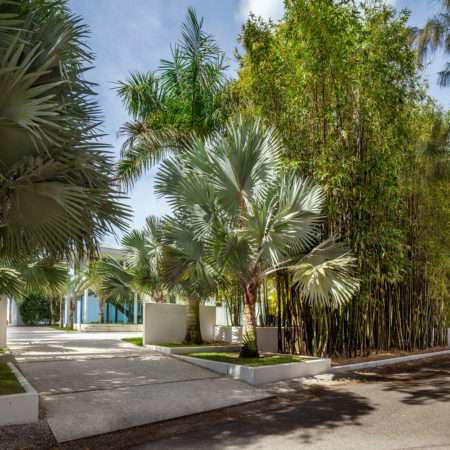 Founded in 1999 by Landscape Architect David Young, ASLA, RLA, DWY is a full-service design and planning firm with offices in Sarasota and Naples, Florida. 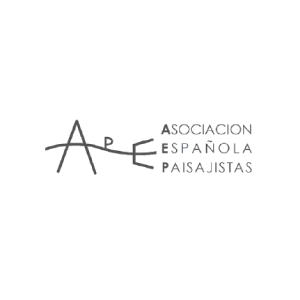 The DWY Philosophy – that landscape architecture is an integration of horticulture, art, and architecture – is realized through the design development and implementation of each project. 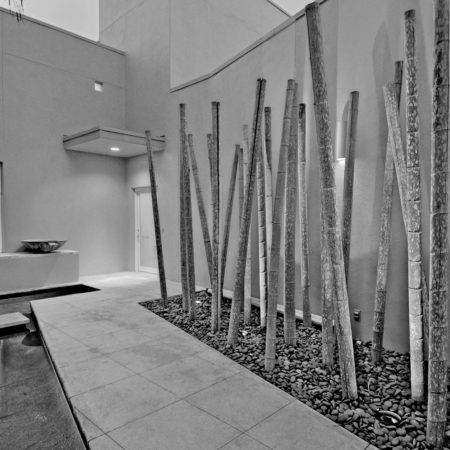 Although each project is unique, DWY follows the same creative and collaborative process with every client. 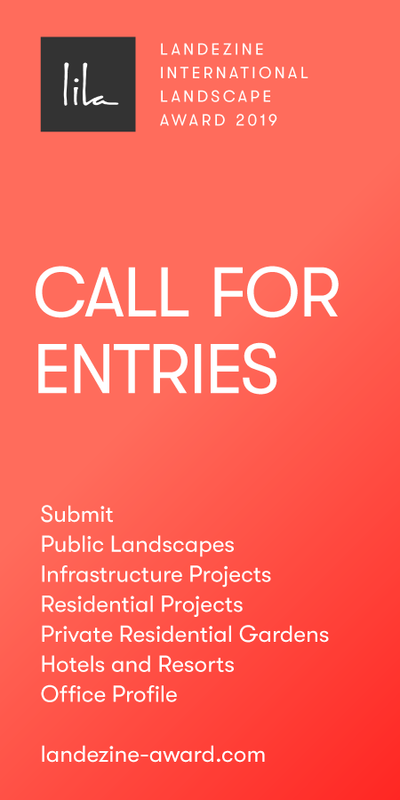 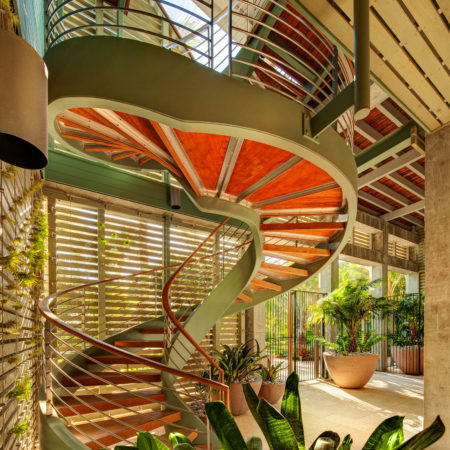 The focus is always on the development of space, clarity of design, continuity with the architecture, and use of regional and sustainable materials. 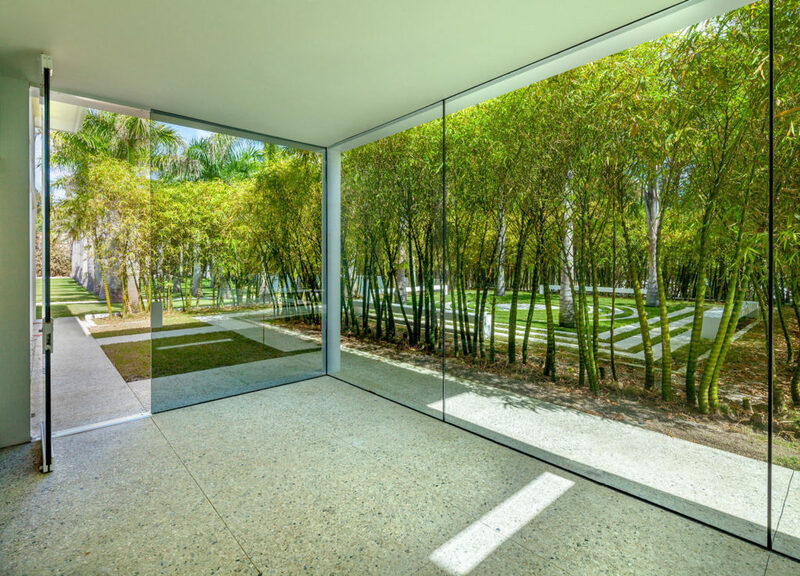 David is currently a Board Member of the Conservation Foundation of the Gulf Coast and he actively strives to incorporate sustainable practices into each project. 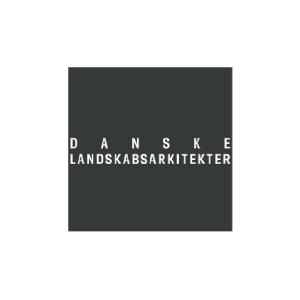 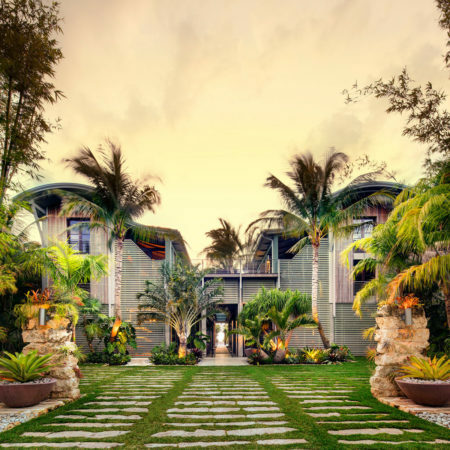 These include familiar approaches such as LEED certifications, but DWY also embraces holistic approaches such as SSI (sustainable sites initiative) and LID (low impact development) practices. 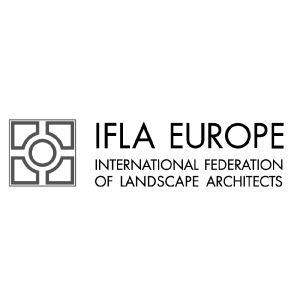 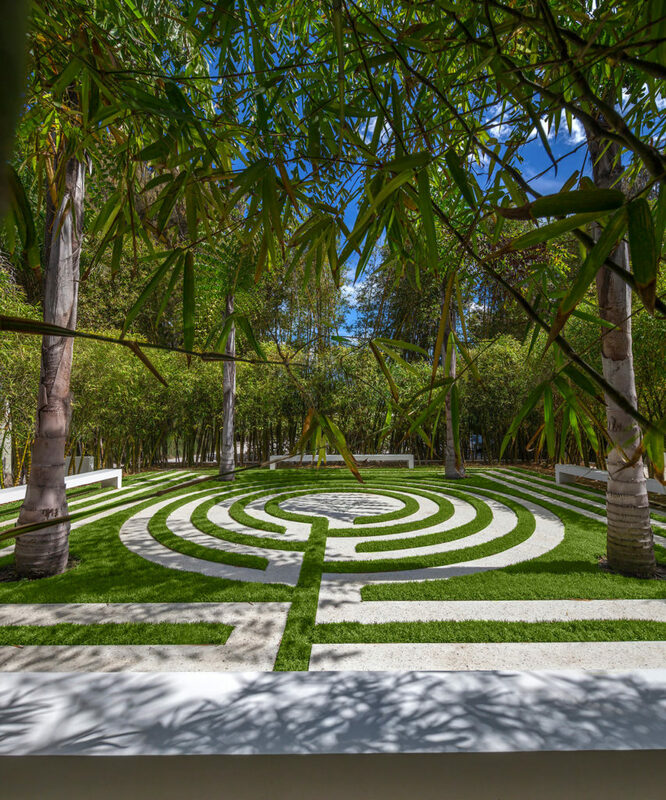 As a Florida native, David believes it is important for people to reconnect with nature – and landscape architecture is the perfect platform to promote this. 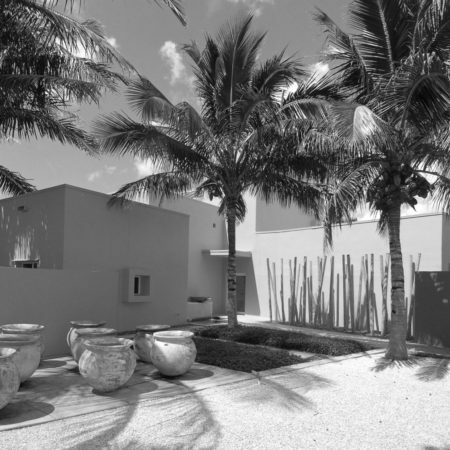 On a site of crystalline white sand, DWY was charged with creating a sanctuary – a place where the client could live in harmony with the natural surroundings and their inherent spiritual qualities. 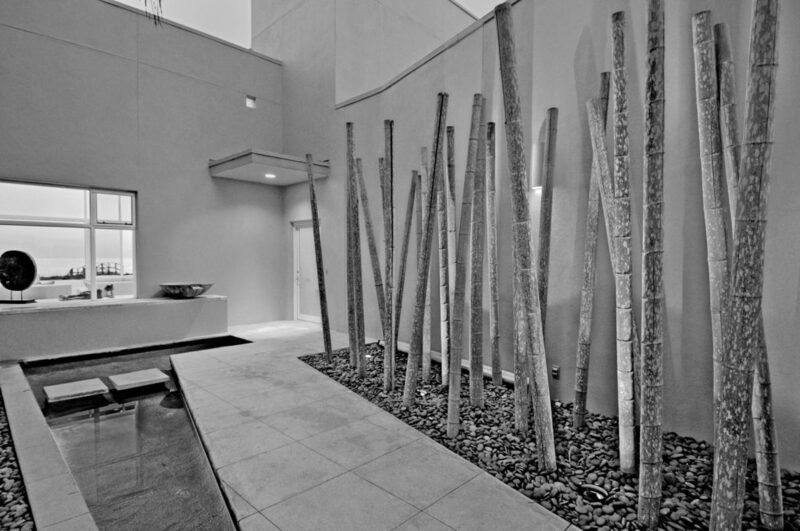 The client loved the contemporary design of the existing home and the property’s 200’ of shoreline. 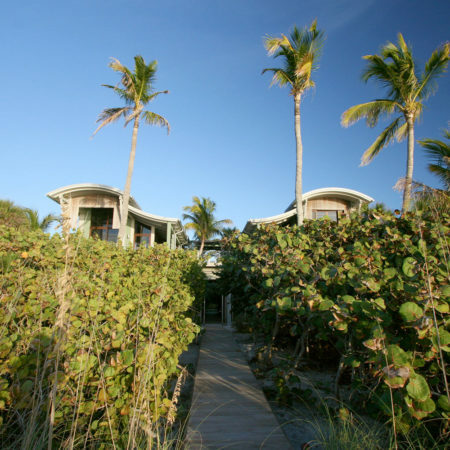 However, years of deferred landscape maintenance had resulted in a site overgrown with invasive species. 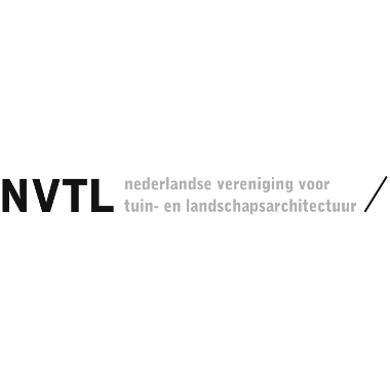 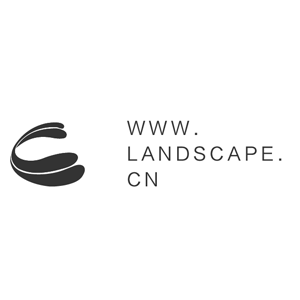 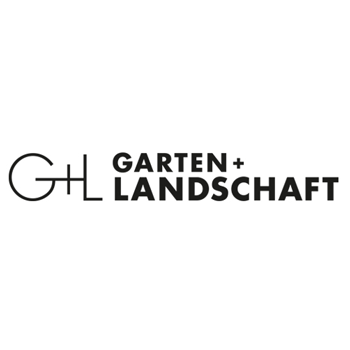 This, along with undefined circulation set the stage for the landscape architect. 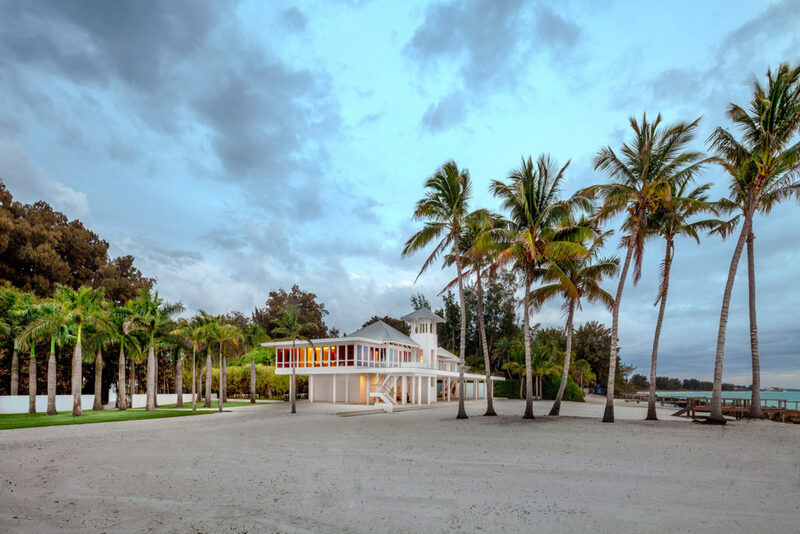 The enclave of the Sanderling Club, developed in the 1950s in the tradition of the Sarasota School of Architecture, is home to several mid-century modern structures, including Paul Rudolph’s beach cabanas. 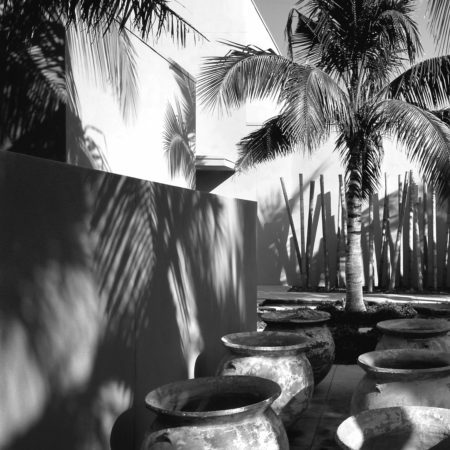 The overarching goal at Aquadisia was to synthesize the existing home and the context through a series of landscape gestures that underscore the spirit of place. 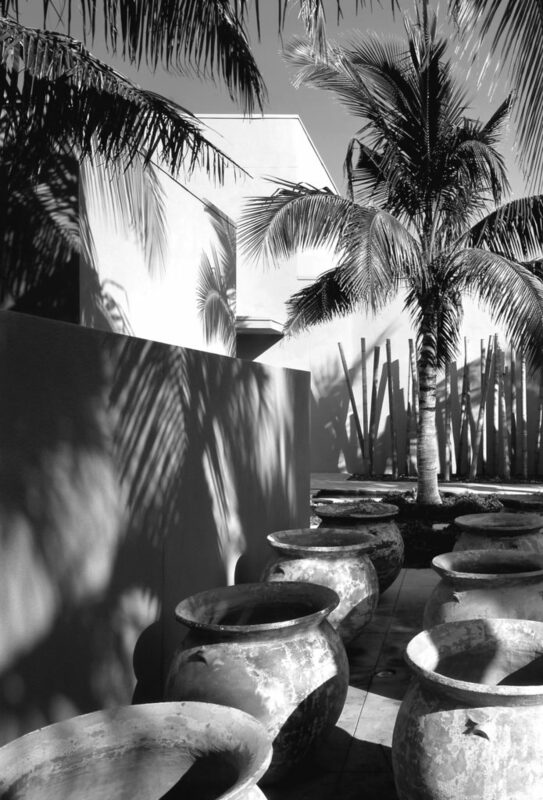 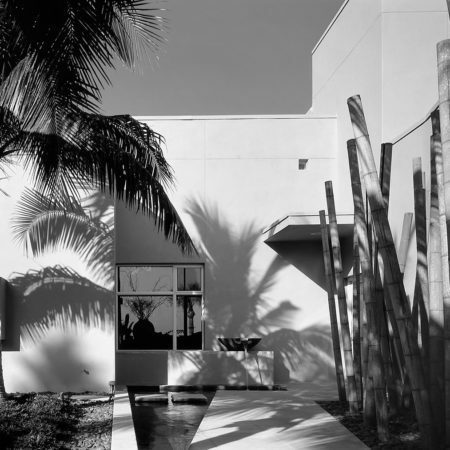 The implementation of the landscape design was preceded by the removal of all invasive exotics, allowing the four-foot module of the architecture to unfold into the property. 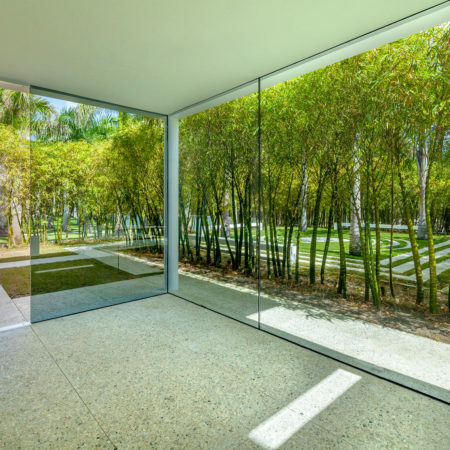 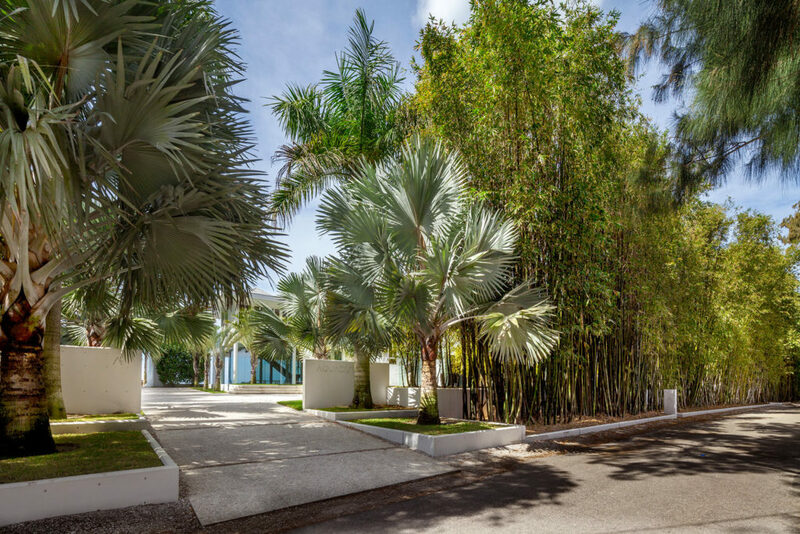 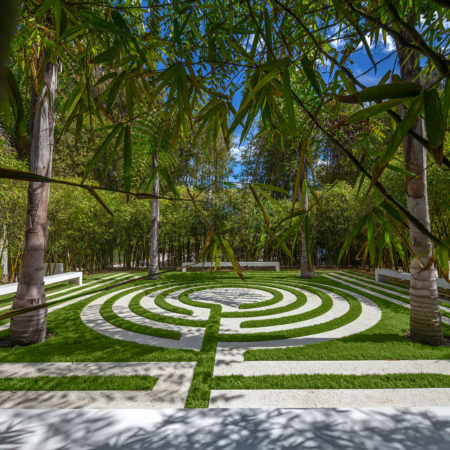 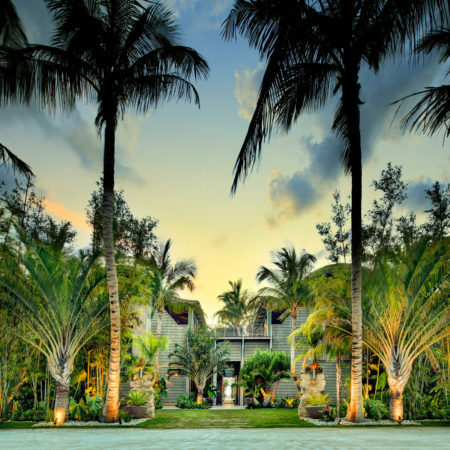 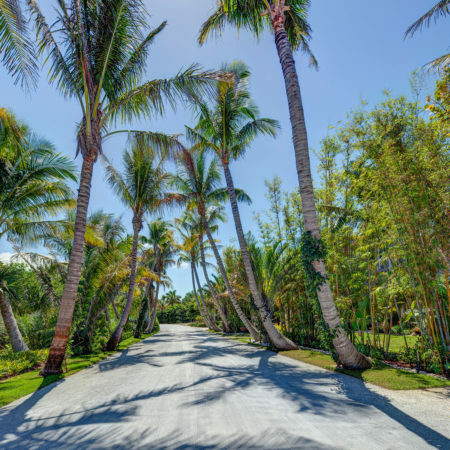 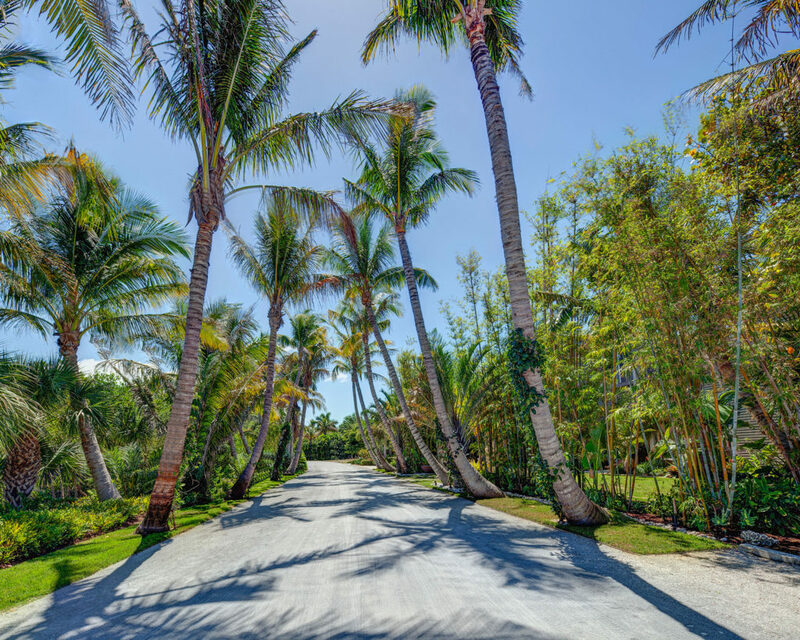 Design elements include a private drive; guest motor court; plaza with a bench, reflecting pool, and glass cube; pedestrian walk and mailbox; labyrinth; grove of royal palms; a water garden; sunken guest spa; and an expanded second-level deck with private spa. 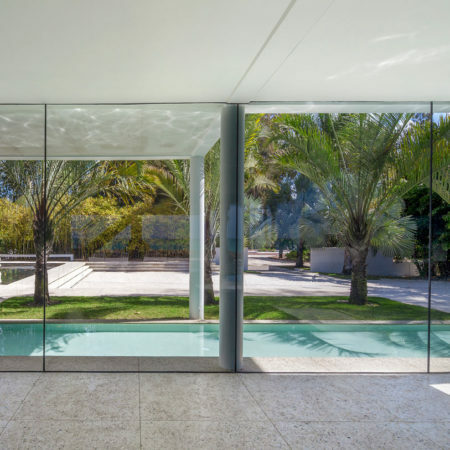 To complement the clarity of water, that is used throughout to tie each aspect of the project together, a minimal palette of glass, shell-top concrete, and wood was employed. 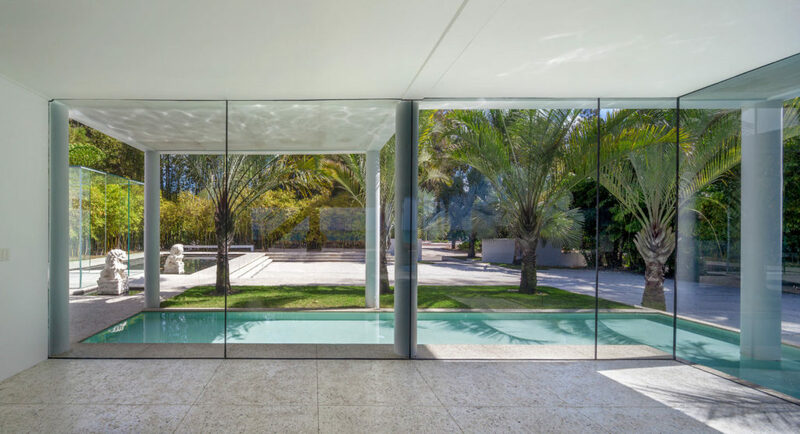 The landscape of this modern beach house reflects the language of the architecture as much as the qualities of its natural context and regional setting. 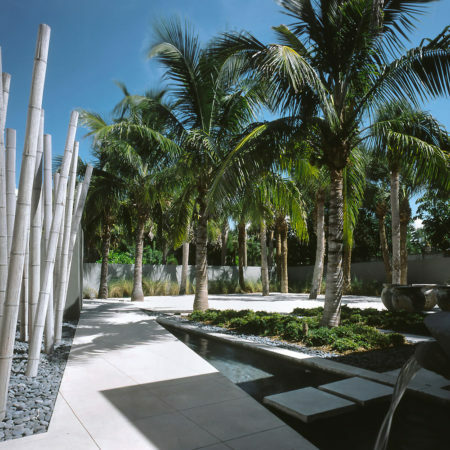 Conceived of as a lush garden residence within a suburban neighborhood, the elevated pool and spa, pergola, site walls, and large-scale plantings link a series of exterior spaces to the interior; the architecture and landscape are experienced as one harmonious setting. 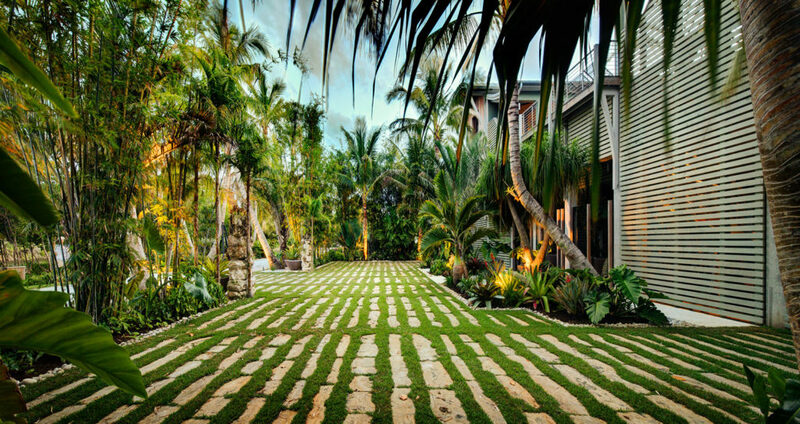 The project evolved from a desire for a densely planted tropical retreat as a counterpoint to the homeowners’ northern urban residence. 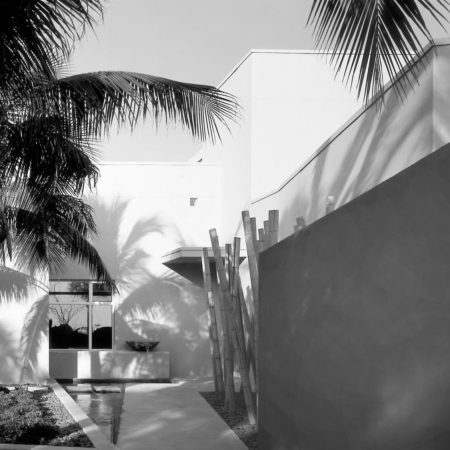 DWY collaborated with the architect to develop a private oasis in a dense and busy suburban beach town. 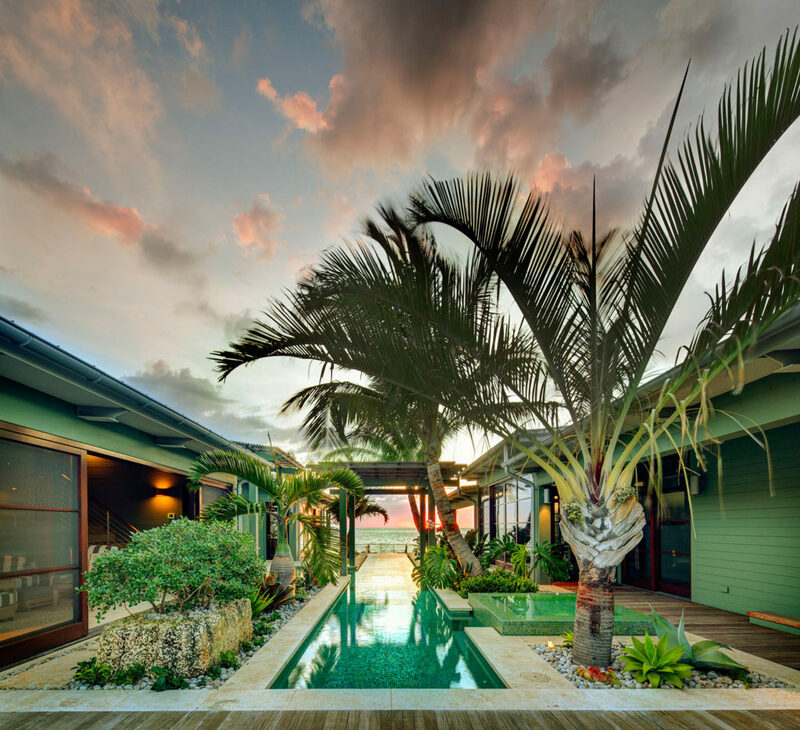 On a sensitive coastal site with strict regulations setting the finished floor elevations of habitable spaces, an elevated living space was a given. 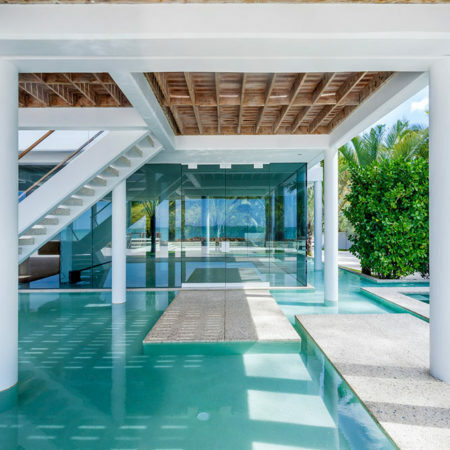 With this as a starting point, DWY designed the pool deck and outdoor living spaces as the bridge between two elevated pavilions. 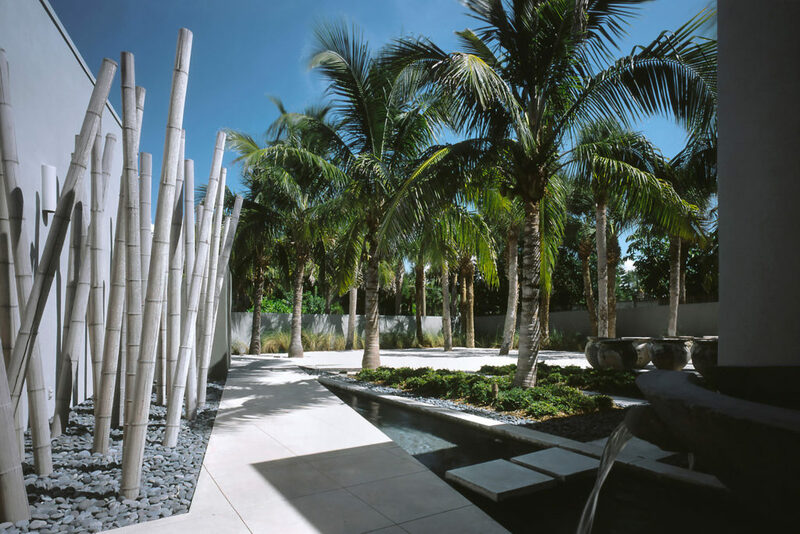 The palette of hardscape materials – regional callida and oolite limestones and natural wood – reinforces the coastal context; the landscape palette is comprised of native and coastal species tolerant to the harsh winds and salt spray of the site. 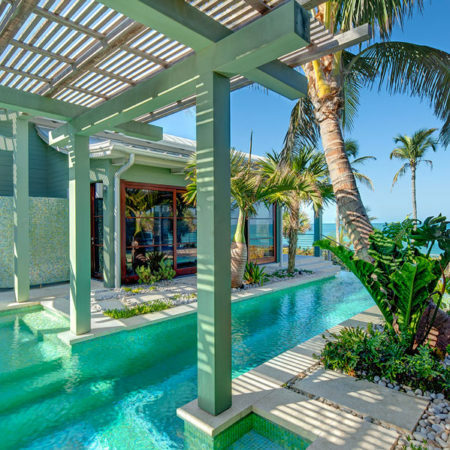 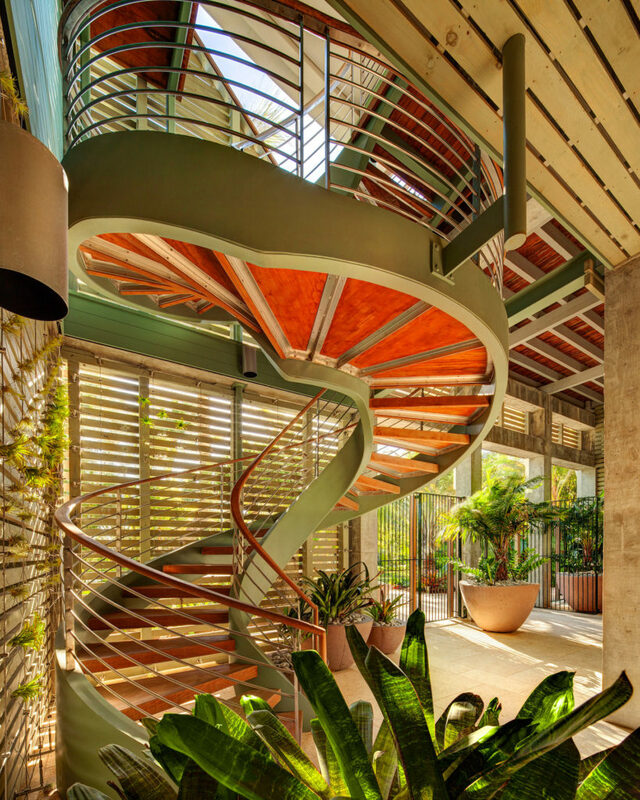 From the scale of the large coconut palms to the delicate tillandsia air plants suspended ono a screen wall, the layering of the plant materials, textures, and scales renders the perfect tropical retreat for the homeowners. 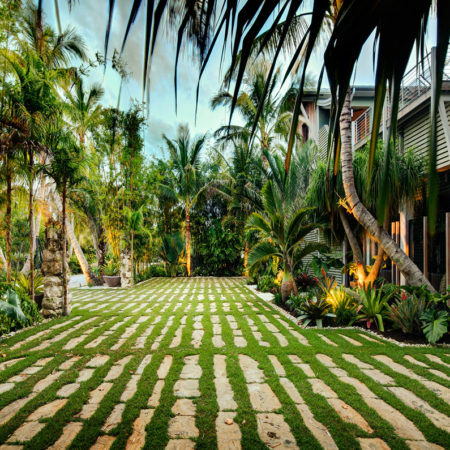 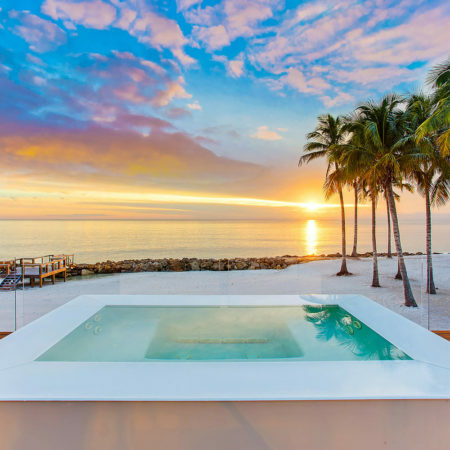 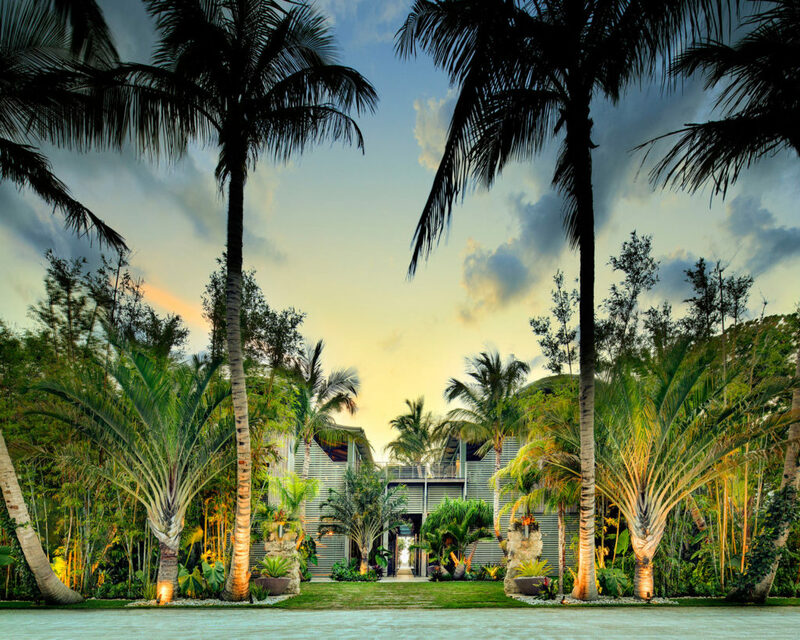 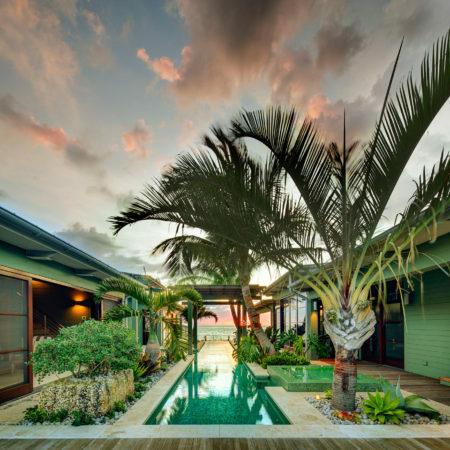 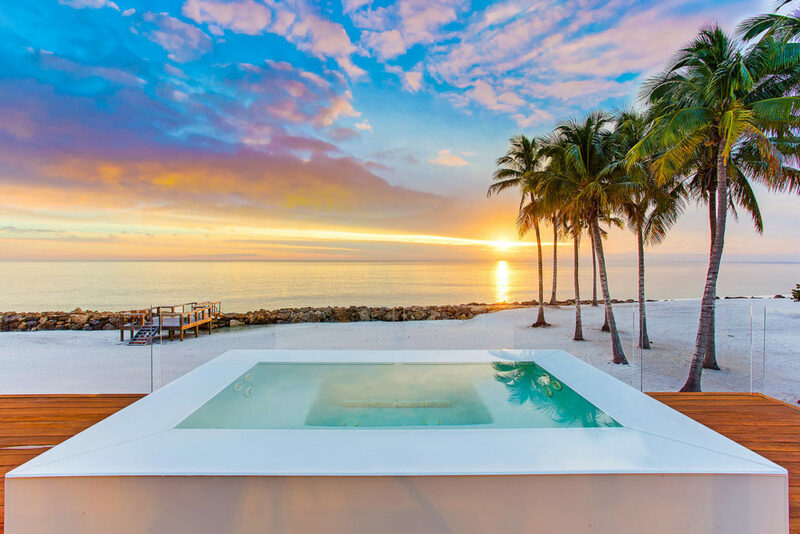 The Casey Key Residence is a place that is both architectural and natural. 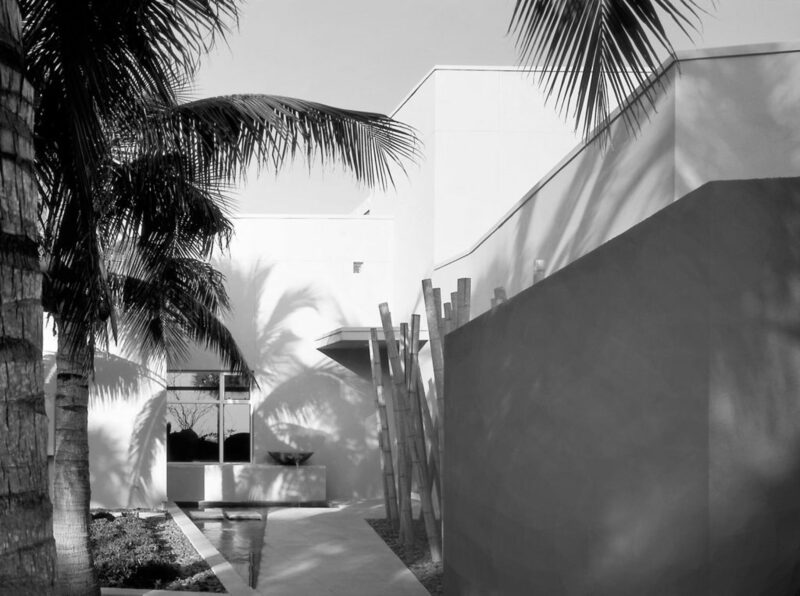 The owner was familiar with Luis Barragan’s work and this became the inspiration for the homes renovation. 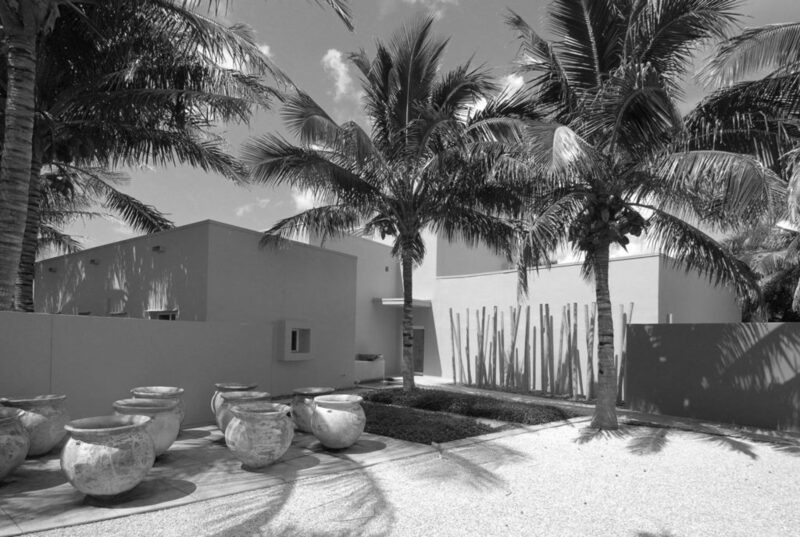 The geometry of the modern house forms the overall gesture of the front courtyard garden, while on the beachside a deck simply extends the floor plane out towards the dune. 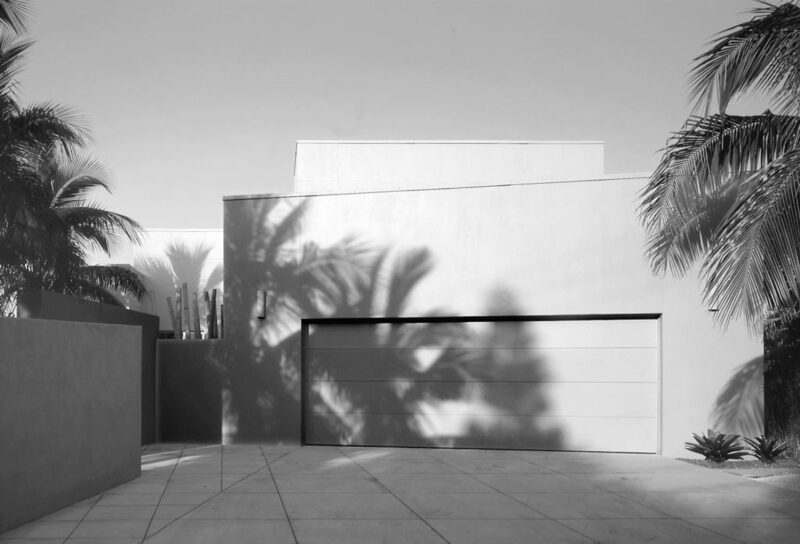 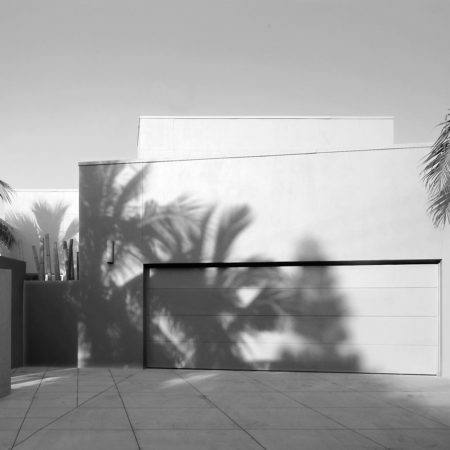 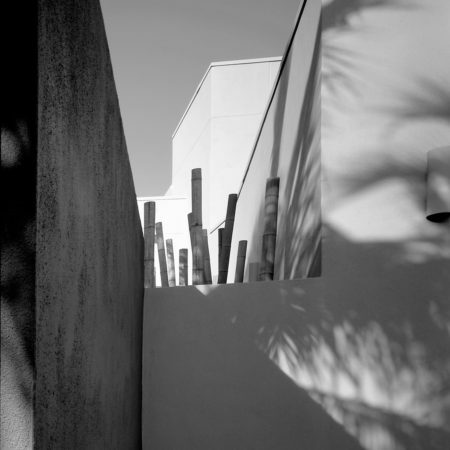 Each design element relates back to the house – the entry courtyard is formed by its acute geometry and is defined on the street-side by a series of partial-height walls. 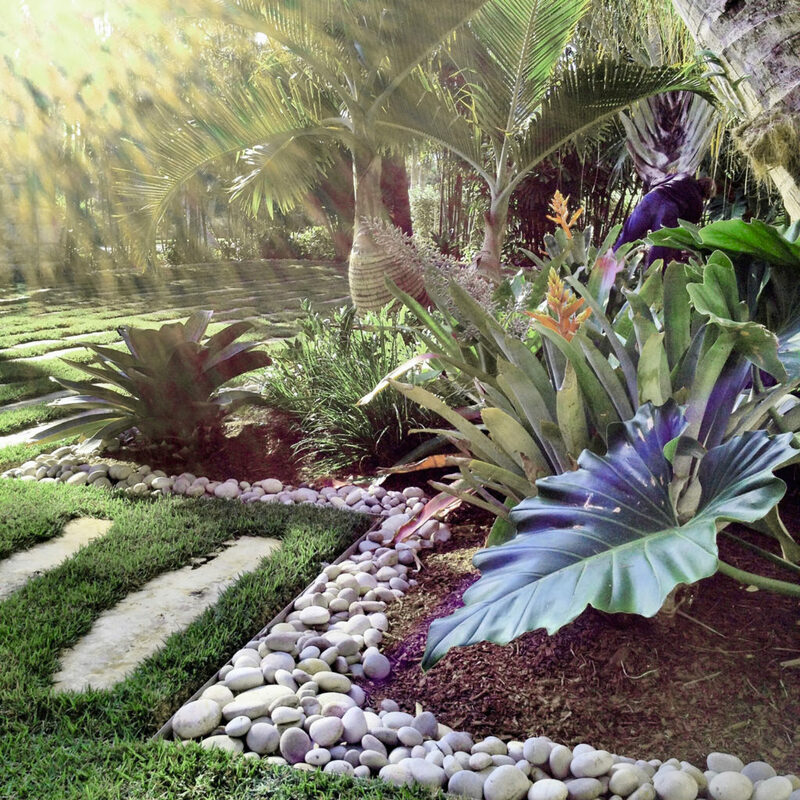 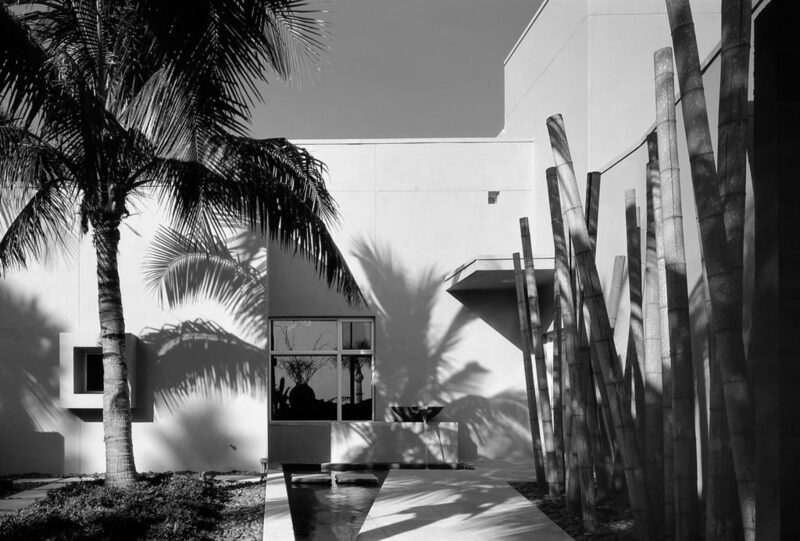 A water feature sits at the convergence of its main axes and draws the sight line through the house towards the Gulf of Mexico. 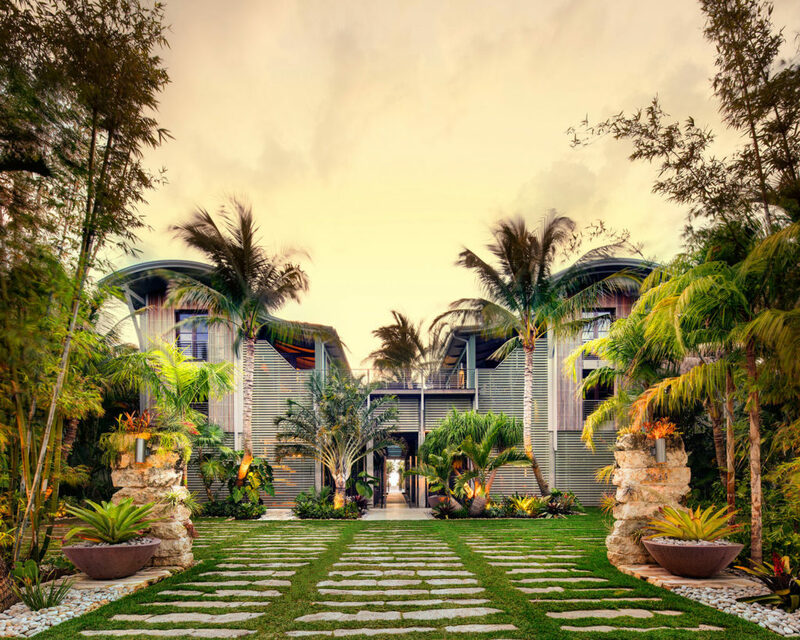 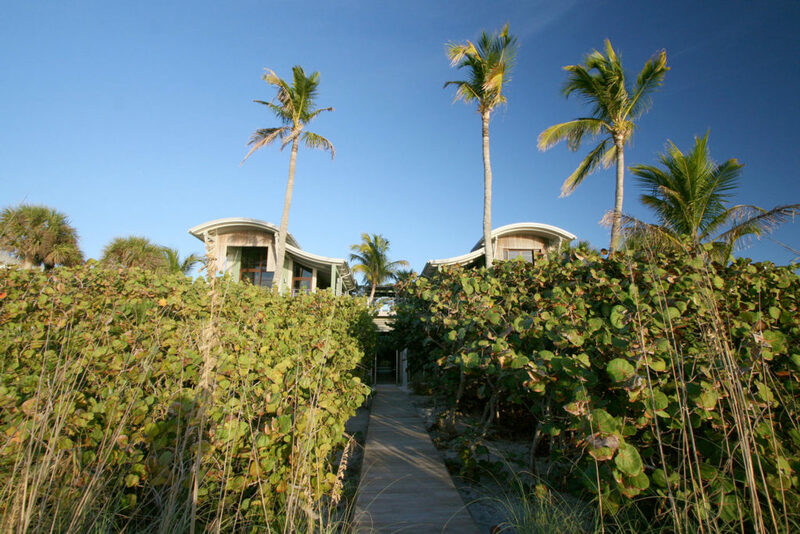 Less geometrically defined, the beachside garden is composed of a deck and boardwalk out over the dunes, native sabal palms and seagrapes, native groundcovers, and a line of coconut palms that continues the geometry from the courtyard through to the back. 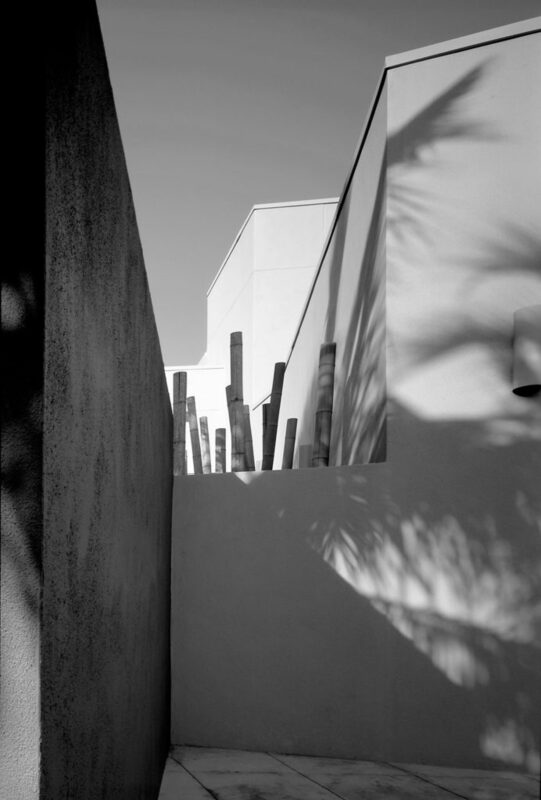 Key to the design program were adherence to budget constraints, creating a sense of privacy from the heavily traveled road, utilizing existing site resources and locally sourced materials, reconciling the converging geometries of the home expansion, and providing a serene setting that connects the renovated home to its site.